Sharing physical activities with kids gets everyone’s heart pumping, muscles strengthened, and most importantly, builds family bonds. Encouraging kids to get physically active at an early age with family participation and support is a way to guide them toward a lifetime of health and well-being. 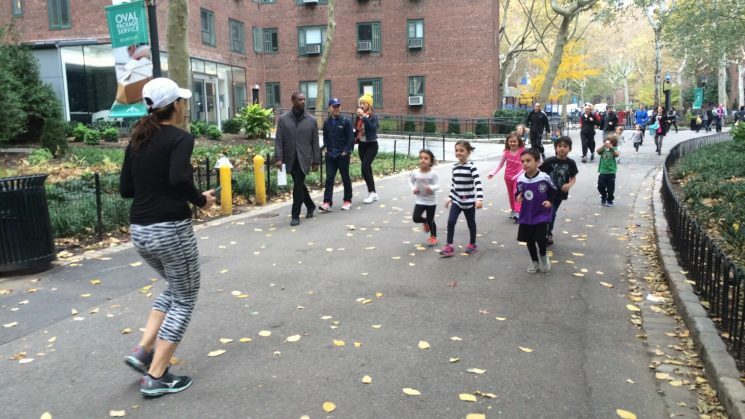 Families that play together, have fun together – and get in shape in the process. The most cherished memories in life are of doing what you love together with who you love. 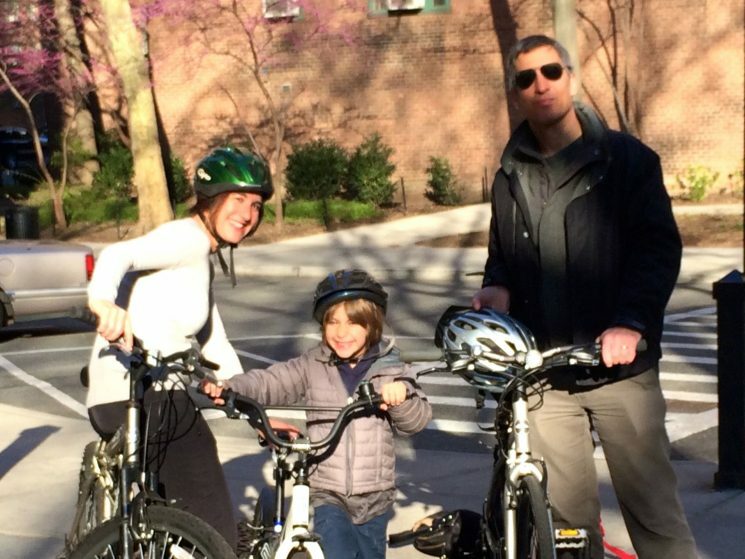 We often hear about the benefits of exercise in terms of extending one’s time on earth, but just as important is the quality of that time exercise can provide (for children of all ages) as a special activity families can do together. Without stress, without pressure, without expectations of anything but getting together to move around and have some fun. 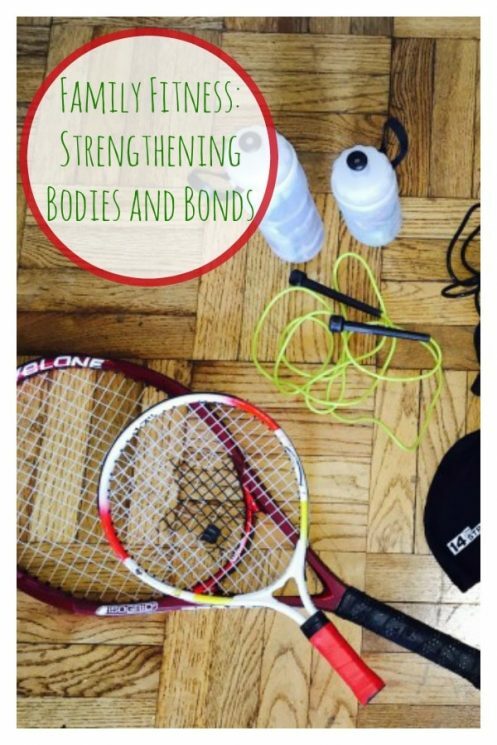 While there are countless ways a family can get fit together here are some simple suggestions on how to easily incorporate activity into your everyday life. Getting active together doesn’t have to be time consuming. Even 30-60 minutes, three times a week as a family can be beneficial. Maximize your time but keep it real to the ebbs and flows of your own family. Block out time after-school, after-dinner and at least one day on the weekend. Boom. Schedule your activities and keep a simple check list of what is being done and when. Doesn’t need to be a competition per se, just a little nudge on accountability. Though if a competitive edge is what gets your family motivated – game on. Brainstorming as a family is a great way to get everyone to contribute ideas, get motivated and even get a little silly. My son Ben introduced the idea of crab crawls with action figures on his belly to ensure his core stays engaged. Never thought of that. Thanks Ben! Now that we are committed. Try some of these on for size. Take turns with who selects what activity as the focus of that day. Your daughter may want to bust into a dance party and your son lead with a game of a catch. Try it all! With the simple click of a smart phone you can even make exercise videos to enhance the experience. Ditch the iPad, put down the playstation and turn off the TV. Swapping out screen time for active time can easily add hours of healthy movement into your week. Can’t break away from a group viewing of “Modern Family?” Try some dynamic warm ups around the room during commercial time. Bear crawls, walking lunges across the floor and a round of high-knees will surely have everyone wanting more. 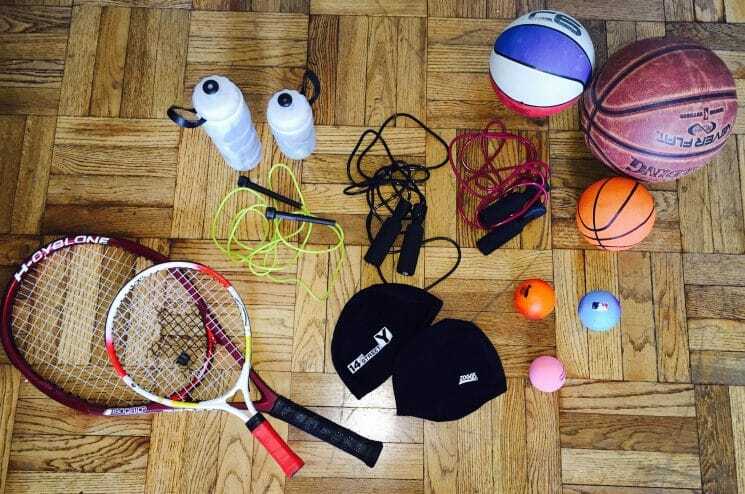 Buy anytime, anywhere sports equipment like jump ropes, frisbees or balls for presents on birthdays and holidays. Everyone can get in on the action. Doesn’t have to cost a lot of money to activate your family. No gym, no problem. Use household items as props. Make some yoga blocks out of heavy coffee table books, a broom for a workout bar or simply try some wall squats. Heading outdoors? Grab some balls, cans and pool noodles and create your own obstacle course. Music is a huge motivator and can be a powerful source for energizing and increasing endurance. Plus, everyone no matter what age is sure to have their favorite go-to tune that automatically takes them them to a happy place. Bring a long the proverbial boom box and watch how everyone will move, together. Take advantage of your community centers or local gym on the weekends that might have adult group fitness and kids fitness or sports classes running at the same time. Walk over there together and then share your experiences over a post workout healthy juice. Find a Cul de Sac near by or create a mock track and start a family fun run with your community; plan olympic style relays at the next cousins barbecue; find a vacation spot where you can all benefit from outdoor activities like hiking, biking or simple walking to and from the poolside. And last but not least….stay hydrated, keep healthy snacks on hand and always remember to have fun, fun, fun!